What’s new about sea-ice data? Record low monthly sea-ice extents were observed in the Arctic in January, February, April, May, June, October, and November 2016, and then further records were set in January 2017 and February 2017. The end-of-summer minimum extent was reached on 10th September, and at 4.14 million square kilometres, it tied with 2007 as the second lowest in the 38-year satellite database, with 2012 remaining the lowest. In the Antarctic, the sea-ice maximum occurred on 31st August, the earliest maximum in the satellite record. There followed a period of rapid decline in sea-ice extent. November 2016, December 2016, January 2017, and February 2017 all saw record low monthly sea-ice extents. The minimum extent of 2.11 million square kilometres was reached on 3rd March. This record low arose due to the near total loss of sea ice in Ross Sea and Amundsen Sea, which occurred during January 2017 and continued through February and into March. 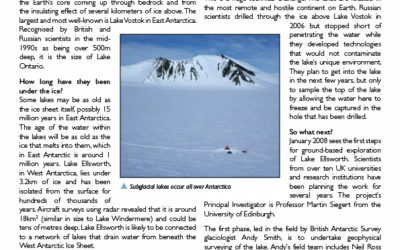 Are phenomena at the two Poles linked? Record low extents of sea ice in the Arctic and Antarctic have led to record lows in global sea-ice extent. It is sensible to consider the Arctic, which is an ocean surrounded by land, and the Antarctic, which is land surrounded by ocean, as two independent regions of sea-ice change. Both Poles respond to increases in greenhouse gases, but they do so in different ways because the processes that lead to sea-ice loss are not the same in the two regions. Moreover each region exhibits natural fluctuations in sea ice from year-to-year and decade-to-decade which are distinct from one another. 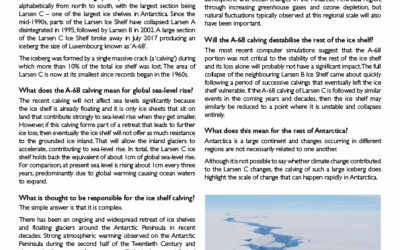 Are we seeing the reversal of a trend in the Antarctic? Sea ice is highly variable on year-to-year timescales. In 2014 a record maximum extent of Antarctic sea ice was recorded with the five-day average exceeding 20 million square kilometres for the first time in the satellite record. That record maximum and this year’s record minimum could both be the result of short-term fluctuations rather than longer-term trends. The long-term trend in Antarctic sea-ice extent has been one of small increase since the late 1970s. While this year’s record minimum is a significant event, we won’t know for a number of years whether this is a single anomalous event or a switch away from the previously observed increase. It would be premature to attribute this year’s minimum to a specific cause. 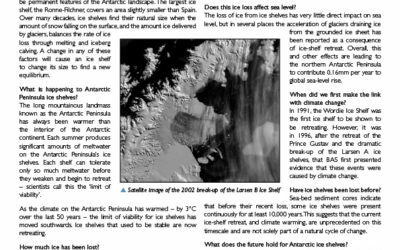 The IPCC Fifth Assessment projected a decrease in Antarctic sea-ice extent by the end of this century as global mean surface temperature rises, albeit with low confidence due to weaknesses in the representation of Antarctic sea ice in climate models. 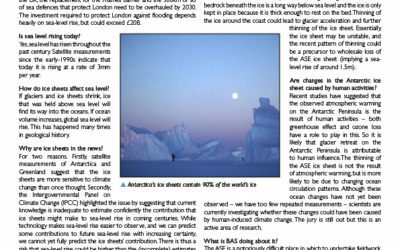 To improve climate models, scientists need more detailed measurements of the ice, such as its thickness. What does the record low Arctic maximum imply for weather in UK and further afield? 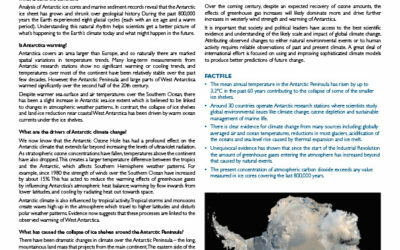 Much recent research activity has been focused on understanding the impact of Arctic sea-ice loss on weather across Europe, Asia, and North America. 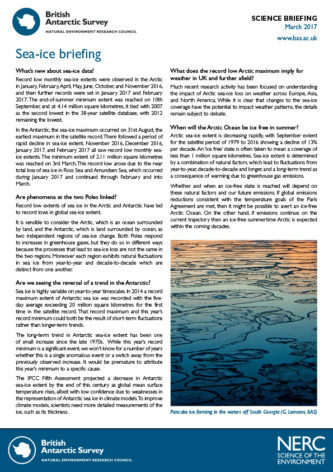 While it is clear that changes to the sea-ice coverage have the potential to impact weather patterns, the details remain subject to debate. When will the Arctic Ocean be ice free in summer? Arctic sea-ice extent is decreasing rapidly, with September extent for the satellite period of 1979 to 2016 showing a decline of 13% per decade. An ‘ice free’ state is often taken to mean a coverage of less than 1 million square kilometres. Sea-ice extent is determined by a combination of natural factors, which lead to fluctuations from year-to-year, decade-to-decade and longer, and a long-term trend as a consequence of warming due to greenhouse gas emissions. Whether and when an ice-free state is reached will depend on these natural factors and our future emissions. If global emissions reductions consistent with the temperature goals of the Paris Agreement are met, then it might be possible to avert an ice-free Arctic Ocean. On the other hand, if emissions continue on the current trajectory then an ice-free summertime Arctic is expected within the coming decades.